Have you registered for the 19th Annual Great Moonbuggy Race? Racers from the Huntsville Center for Technology ready for the 2011 Great Moonbuggy Race. Dreaming of being an astronaut is a phase just about everyone goes through at one point in their lives. It’s a much smaller amount of people who decide to peruse that dream when they grow-up. While not everyone might go into space, everyone has the opportunity to race on the moon…. well almost. For the last 19 years, NASA has given high school and college teams from across the globe a chance to compete against each other for the title of “Greatest Moonbuggy of the Year”. The rules of the “Great Moonbuggy Race” are simple. Teams of six to seven students are challenged to engineer a two passenger, light-weight, quickly assembled and human powered vehicle that can withstand the rigors of an all-terrain race. The fastest buggy through the course, taking penalties into account, wins. The idea is to have students re-engineer a moon buggy with the same engineering constraints as those faced by the Apollo-era lunar rover developers in the 1960’s. Only eight college teams competed in the first Moonbuggy race in 1994. Since then high school teams have joined the fun and the competition has dramatically increased. Last year during the 18th annual race, 70 teams from around the world entered buggies into the race. Officially sponsored by the NASA Human Exploration and Operations Mission Directorate and corporately sponsored by many of the biggest space technology companies, monetary awards are provided for the top buggy in each category (college and high school) and high schoolers receive an additional paid trip to Advanced Space Academy provided by ATK. Other prizes are awarded for everything from “lightest vehicle” to “Best race day repair” to “Best Rookie team”. 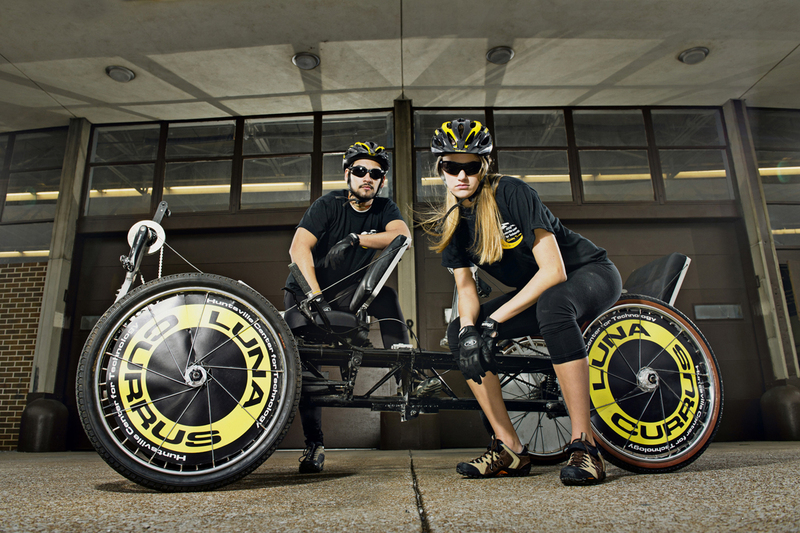 The 19th annual Great Moonbuggy Race is currently scheduled for April 13-14 at Marshall Space Flight center. There is still time to create a team of your own and enter. Registration closes for international teams on January 7th and for US teams February 4, 2013 at 3PM CST. Check out the event page and lets see those moon buggys!